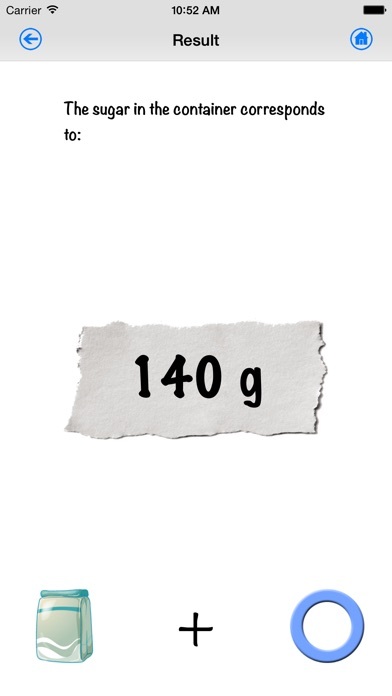 "Kitchen Scales" is the only app that, through a simple and pleasant interface, allows you to measure the amount of sugar, flour or liquids in a container of your choice. The operation is very simple: 1 - The first thing you will need is a glass or a regular-sized cup, preferably a transparent one. 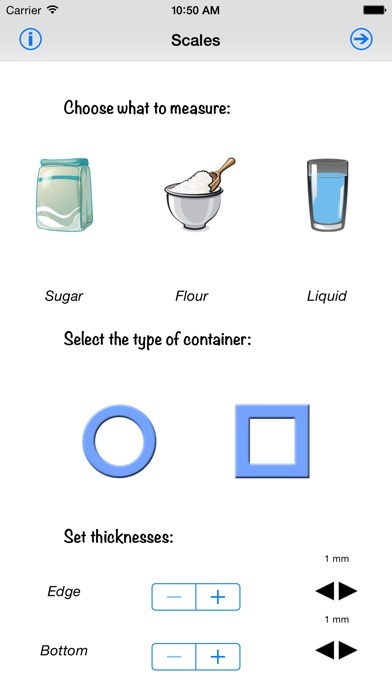 2 - Select what you want to measure and the shape of the container, either cylindrical or rectangular. Also remember to select the thickness of the edges and the bottom. A difference of a few millimetres will result in errors of several tens of grams. 3 - Place the phone on the container. 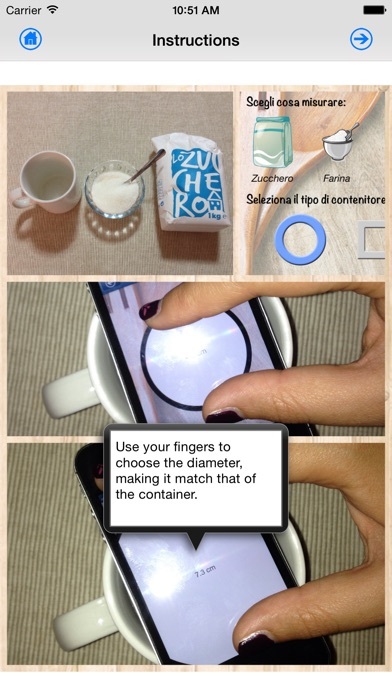 4 - Use your fingers to choose the diameter, making it match that of the container. 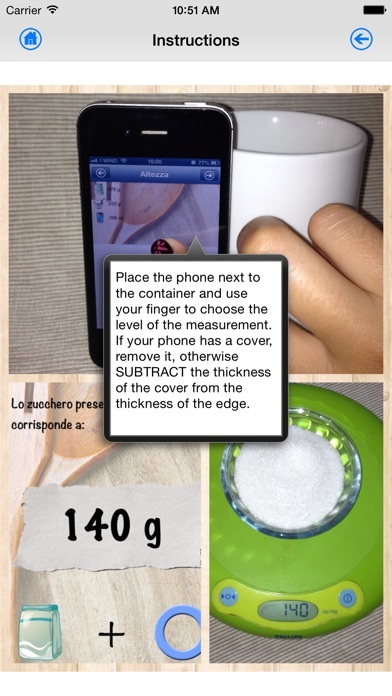 5 - Place the phone next to the container and use your finger to choose the level of the measurement. If your phone has a cover, remove it, otherwise SUBTRACT the thickness of the cover from the thickness of the edge. 6 - At this point you'll get the grams or millilitres if you are measuring a liquid. For the first few times check the measurements, just to get started. Measurements made with this application are only approximate. They are quite precise, but they cannot be compared to measurements on scales.